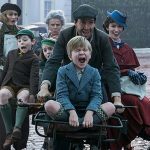 Home / LIFESTYLE / REVIEWS > / FILM REVIEWS / ‘Deeds, not Words’ was the Suffragette’s motto, although neither elevate this earnest, worthy, but unexciting film. Producers Alison Owen, Director Sarah Gavron and writer Abi Morgan the feminist triumvirate behind the 2007 film adaptation of Brick Lane, has reunited to make a film about the suffragette movement from 1912 to the June,1913 death of militant activist Emily Davison (Natalie Press) at the Epsom Darby. The cast, which includes including Carey Mulligan, Anne-Marie Duff, Helena Bonham Carter and a cameo from Meryl Streep are all excellent. Serious and gritty, there is no romanticising the hardships of life for ordinary women or the sacrifices of the suffragettes. 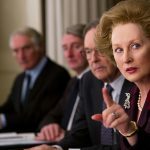 For all its importance as a snapshot of a key movement in British history, however, the story feels like a worthy costume drama forced onto the blueprint of Made in Dagenham. 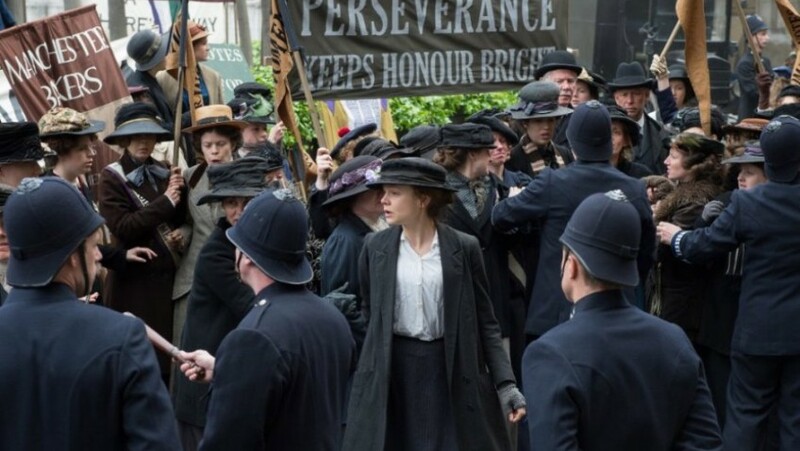 Maud Watts (Carey Mulligan, Far From the Madding Crowd, An Education) is the film’s fictional protagonist and it is her story we follow as she comes into contact with other fictional suffragettes and real characters from history (Emily Davison, Emmeline Pankhurst and David Lloyd George). Married to a loving, but conservative husband, Sonny (Ben Whishaw), Maud lives in a cramped, dark flat with their adorable son, George (Adam Michael Dodd). Both work long hours at a disease-ridden, dangerous laundry where the boss molested Maud as a young girl. 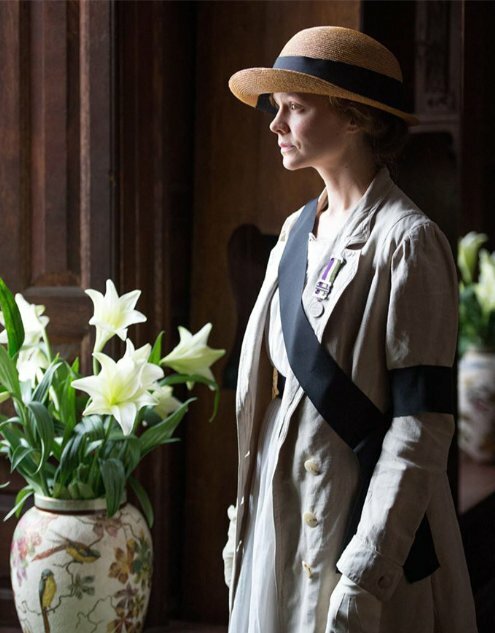 We follow Watts as she is reluctantly drawn into the suffragette movement. 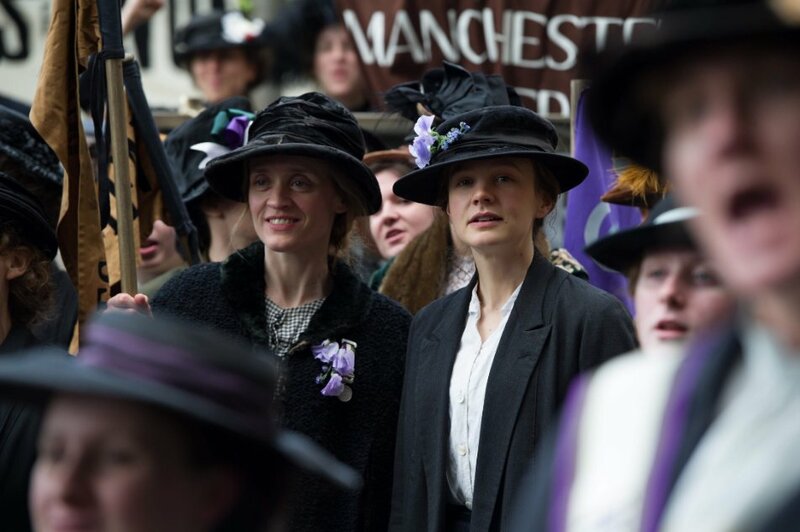 When a suffragette work colleague, Violet Miller (Anne-Marie Duff), has to pull out of testifying before David Lloyd George about working conditions, Maud is encouraged to stand in. She cannot tell him what she would do with the vote, but her testimony describing her life as a child labourer, her poverty, long hours in dangerous working conditions for shockingly low pay appears to move the minister. The experience empowers Maud while a chance meeting with Pankhurst herself (who tells her, ‘never surrender!’) and the Government’s refusal to move on the vote issue despite her testimony, stiffens Maud’s resolve. As a composite Every Woman character, Maud has to undergo the whole poverty (she was molested as a child by the factory owner) and suffragette experience. We watch as she participates in protests and bombings, undergoes force-feeding in prison, her husband’s disapproval, loses her child and home, and is targeted by the brutal police (here, represented by Inspector Arthur Steed (Brendan Gleeson), who ends admiring Maud’s resolve). It is Maud who accompanies Emily Davison to the Darby to (it is thought) pin the suffragette banner (which now hangs in Parliament) on the King’s horse. Although suffragettes varied greatly in their social status and education (Davison, an unmarried teacher by trade, earned a scholarship to study modern foreign languages at Royal Holloway College and studied Science and Literature at Oxford), Maud is, perhaps, more typical, if less interesting. It is this familiar format, all the composite characters and a somewhat bland script that combine to undermine this well-meaning film’s freshness and emotional strength. If we equate the equality message behind the suffragette movement with the equal pay message behind the famous Dagenham, Essex factory strike, the similarities between the film Made in Dagenham (now a hit west end play) and Suffragette hit you over the head. In Dagenham, Sally Hawkins’ Rita O’Grady is the composite character factory worker who becomes a key player despite herself, similar to Maud’s character in Suffragette. Rita has a group of brave women who support and encourage her, just as Maud does. Both films feature a nasty factory boss, an encounter with a politician in high office and a conservative husband for whom his wife’s political activity is proving awkward. The condescending, devious union reps are the equivalent of the police and politicians in Suffragette. The female friendly union rep in Dagenham (Bob Hoskins) is, in Suffragette, pharmacist Hugh Ellyn (Finbar Lynch), the supportive husband to militant Edith (Helena Bonham Carter). There is even, in Suffragette, a wealthy, pro-Suffragette wife (Romola Garai) of an anti-Suffragette politician husband to reflect, almost exactly, the sympathetic well- dressed wife (played by Rosmund Pike) of the chauvinistic factory manager in Made in Dagenham. Both women are fictional constructs. While Made in Dagenham had broad humour and an upbeat ending, Suffragette has neither, although as the upcoming biopic Trumbo shows, even the story of a victim imprisoned unjustly by paranoid politicians can have humour and wit. Carey Mulligan gives the stand-out performance as she is put through the ringer. She expresses Maud’s every emotion as she gains strength from promise as well as from defeat. 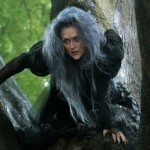 But it is Meryl Streep who lights up the screen with her short, but perfectly delivered, speech before being whisked away (she is in hiding) from her followers and from viewers. If we can imagine why the Streep has such a small role, it is more difficult to imagine why now, 97 years after the first tier of women (propertied women over 30) got the vote we are watching this movie. Women now have rights over their children and their money and we’ve had a woman Prime Minister. The matter of women’s equal pay has been going on for years and was covered by Made in Dagenham. The most topical part of Suffragette is the rolling caption at the end reminding us that in 2015 Saudi Arabian women are still second class citizens. At a time when we are commemorating World War I, however, Suffragette does not even concede that the war, which saw women take on men’s jobs and left the male population depleted, probably more than the bombing of phone boxes, led to the first legislation giving limited voting rights to women in 1918.